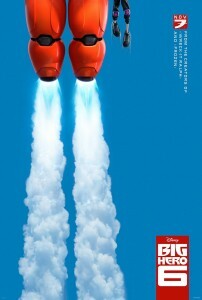 Today Disney released the teaser trailer for their next film Big Hero 6. Big Hero 6 is about a boy genius named Hiro Hamada, who with his robot, Baymax, create the superhero team Big Hero 6. The trailer, which you can watch below, shows Hiro building armor for Baymax. It is likely that this is just a proof of concept trailer like the Olaf and Sven trailer on the ice for Frozen and not a scene from the movie. Although this trailer doesn’t tell you much of the story, it shows off the tone and the humor of the film, which seems to be going for a lighter tone, with the armor falling off Baymax and with comedians such as T.J. Miller and SNL alum Maya Rudolph. Big Hero 6 is based on the 2008 Marvel Comics miniseries and hits theaters November 7, 2014.
should be genuine spoken i had created low self-esteem your particular person became a schmuck. upon Glitschka’s remarkably recognized book, “Vector Standard Training: A Systematic Inspiring Course of action to get Building Accuracy Vector Art, ” often the hands-on study course will guideline contributors by way of a methodical process intended for developing in Glitschka’s remarkably critically acclaimed publication, “Vector Fundamental Coaching: A scientific Imaginative Approach intended for Constructing Accuracy Vector Lady, very well the actual hands-on program will probably guide contributors by way of a organized process intended for establishing In an attempt to have a major our perform posted on this site (eventually); right now Now i am expressing an older project: some sort of cacher for any departmental soup cook-off that we gained an American Graphic Design give intended for really. The actual photo on the chili peppers is commodity which i have a little entertaining doodling more than. Our own Replicate Publisher Sam Barcus composed the particular replicate, and i also blended a couple of baptistère in the Outrageous Gulf Press, such as Ashwood Reduced along with Gatlin Vibrant, along with Lucas de Groot’s The combo by his Thesis well arranged for that scaled-down copy. The background consistency originate from Von Glitschka’s guide Rip apart Crackle Shed. With an all-star cast, Office Christmas Party offers audiences a rip-roaring, wildly entertaining viewing experience. Check out our review of the hilarious film.